As a webmaster, we are sure that you want to improve your SEO ranking and boost your brand visibility as well. The online business field has become competitive and everyone is fighting for a spot to get to rank their website high. Unique keywords and good links are not enough for you to rank high in the search engines. 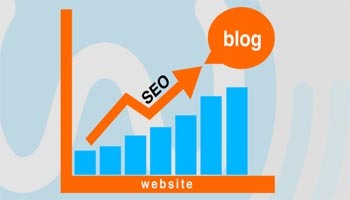 The quality of your content will determine the SEO rankings for the website. Research has shown that for a website to do well, it needs to have quality content that is holistic and reliable. What are some of these core factors that will help your website do better? You need to focus on optimize all your content and not just having specific terms that are ranking high in search results. Nowadays, Google is placing a lot of emphasis on context, as well as, semantics than before since they now understand these terms better. To say this in a simpler manner, Google proofs these terms and other relevant terms in an article for Google to associate the terms in a given context. For instance, Computer and antivirus are related to each other but bookshelf is not. From different research findings, it is clear that long form content is the winner and content with more words have the chance to get high engine rankings. When you have content that has attractive photos, videos and images, it will not only get more shares on social platforms but it will rank better in search engines. Another aspect is the readability of the content, this will be good for the audience but will also contribute to better ranking. Most of the content ranking on the have the social signals and these include comments, shares or likes. There isn’t any direct relation to this but we believe it plays a role in ranking better.